Oh, the glorious Bwa-ha-ha years of the Justice League International. 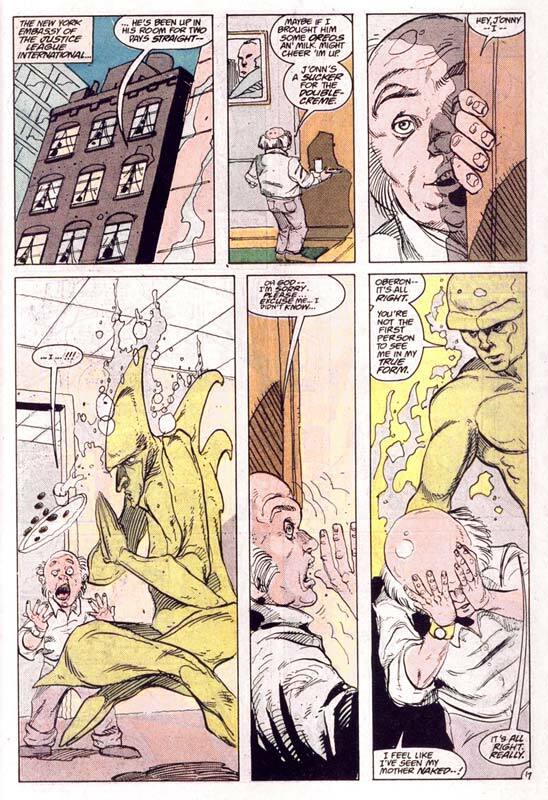 It wouldn't be long before I got around to adding many moments from the JLI to my little list. Oberon got a sight he wasn't quite expecting! There are just no words to describe how much I love the bwahaha era...Justice League: A New Beginning was my Watchmen. I know...those characters have a special place in my heart. I really, really miss Ted Kord. I wish there were more comics today that were fun and lighthearted! At least we've got Booster Gold.